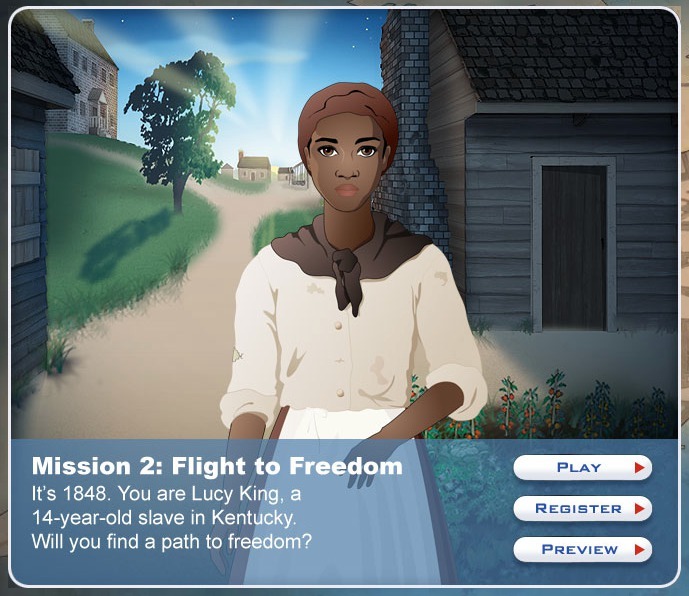 Yesterday we talked briefly in class about two web-based role-playing games in which the player assumes the role of a runaway slave. Both are called "Flight to Freedom," the first at Bowdoin College and the second at the NEH-sponsored site Mission US. 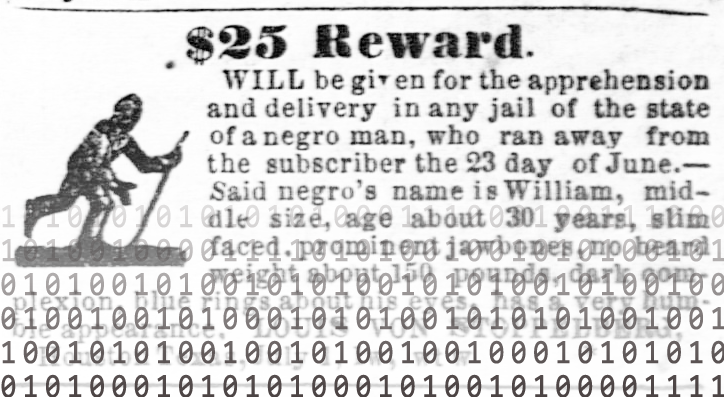 One of the issues that came up in our discussion was whether "gamifying" the history of slavery is ever appropriate, and as it turns out, this issue has just been in the news because of a new slavery-centered game in the Assassin’s Creed series. Another question that our discussion raised was whether video games can be considered "history" at all. This, too, is a long-standing question, and there is a very thoughtful group blog called Play the Past devoted to considering it. It’s a blog often written for historians by historians, and just yesterday historian Trevor Owens argued that games can be historical scholarship. His argument hinges on many of the points that came up yesterday in class about the widening of access to history, and the benefits of breaking away from a linear narrative form of argument that is itself no less interpretive than a "non-fiction game" would be. Of course, even if we could agree that games could be history, that wouldn’t necessarily mean that the history of slavery should be represented with a game. At the very least, perhaps, the article on "Assassin’s Creed" suggests that with games, as with essays, there are better and worse ways to proceed. 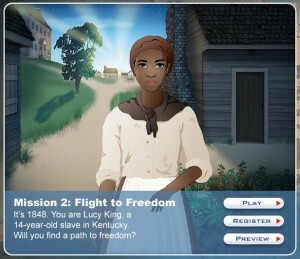 Play the Past has also published some past posts dealing with attempts to represent slavery in game-play situations, including this one by Rebecca Mir, and this one by Mark Sample about "playing the powerless in videogames about the powerless," which pointed me to the Mission US game in the first place. What are the limits of playing the powerless? What is lost and what is gained in portraying—and playing—a situation that has been well represented in other media? And what considerations should developers and players alike have with regards to responsibility and accountability? If you’re interested in continuing this discussion, I’d be interested to hear your answers to those questions. Did you read the review of Assassin’s Creed, or play the Flight to Freedom games? What do you think about the limitations and possibilities of games as historical scholarship or as public history?